The Government of India has announced the Digital Villages initiative, during the Budget 2019. Finance Minister Piyush Goyal announced the initiative to connect as many as 1 lakh villages with the digital services offered by the Government, within the next five years. Goyal went on to say that the Jan Dhan Yojna, the Aadhaar scheme and the penetration of mobile phones have become “game changers”. This follows the Digital Village or Digi Gaon Yojna announced last year, which has set a target of covering 700 villages in India by the end of 2018. It was designed to connect villages with Wi-Fi access and also assist residents with entrepreneurship opportunities such as setting up cottage industries. Just yesterday, President Ram Nath Kovind in his address to the nation had said more than 1.16 lakh village panchayats have been connected with optical fibre under the Digital India programme, and around 40,000 village panchayats have also been provided with WiFi hotspots. According to comparative numbers, in 2014 only 59 village panchayats had digital connections across the country. Goyal went on to say in the Budget 2019 speech that India is leading the consumption of voice calls and mobile data using our mobile phones, which he specified is an increase of over 50 times in the past five years. India has the lowest mobile and data tariffs in the world. 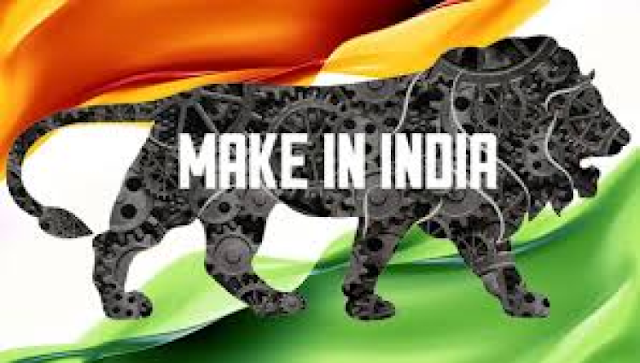 In the Budget 2019 speech, finance minister Piyush Goyal also announced that the Make in India initiative has succeeded in the past few years. He says that now 268 companies are manufacturing mobile phones in India now, as compared with 2 companies earlier. After ‘Digital India’ and ‘Make in India‘, the NaMo Government is to launch yet another programme. This one is a revised version of programmes launched earlier under the skill development policy. This new programme, called ‘Skill India’, is supposed to be a multi-skill programme. It will be launched in March 2015. Like all other programmes, ‘Skill India’ too is a dream project of Narendra Modi and the work to launch this programme has already been initiated. The main goal is to create opportunities, space and scope for the development of the talents of the Indian youth and to develop more of those sectors which ha ve already been put under skill development for the last so many years and also to identify new sectors for skill development. The new programme aims at providing training and skill development to 500 million youth of our country by 2020, covering each and every village. Various schemes are also proposed to achieve this objective. The emphasis is to skill the youths in such a way so that they get employment and also improve entrepreneurship. Provides training, support and guidance for all occupations that were of traditional type like carpenters, cobblers, welders, blacksmiths, masons, nurses, tailors, weavers etc. More emphasis will be given on new areas like real estate, construction, transportation, textile, gem industry, jewellery designing, banking, tourism and various other sectors, where skill development is inadequate or nil. The training programmes would be on the lines of international level so that the youths of our country can not only meet the domestic demands but also of other countries like the US, Japan, China, Germany, Russia and those in the West Asia. Another remarkable feature of the ‘Skill India’ programme would be to create a hallmark called ‘Rural India Skill’, so as to standardise and certify the training process. Tailor-made, need-based programmes would be initiated for specific age groups which can be like language and communication skills, life and positive thinking skills, personality development skills, management skills, behavioural skills, including job and employability skills. The course methodology of ‘Skill India’ would be innovative, which would include games, group discussions, brainstorming sessions, practical experiences, case studies etc. How is it different from the previous skill development policies? It’s not that we do not have any skill development programme already. The Government of India has always considered skill development as a national priority. It is just that since the ministry is new, the approach taken for skill development is also new. Earlier, the emphasis was on traditional jobs. But this time, all kinds of jobs will be given equal emphasis. Earlier, the responsibility was divided among various ministries, but this time, these are being clubbed together. The ministry of skill development and entrepreneurship will be the principal ministry which is going to coordinate with other ministries and organisations. According to NaMo, Skill India won’t be just a programme but a movement. Here, youth who are jobless, college and school dropouts, along with the educated ones, from rural and urban areas, all will be given value addition. The new ministry will be the certifying agency. Certificates will be issued to those who complete a particular skill or programme and this certificate has to be recognized by all public and private agencies and entities, including overseas organisations. Skill India is a programme for the entire nation. The idea is to raise confidence, improve productivity and give direction through proper skill development. Skill development will enable the youths to get blue-collar jobs. Development of skills, at an young age, right at the school level, is very essential to channelise them for proper job opportunities. There should be a balanced growth in all the sectors and all jobs should be given equal importance. Every job aspirant would be given training in soft skills to lead a proper and decent life. Skill development would reach the rural and remote areas also. Corporate educational institutions, non-government organizations, Government, academic institutions, and society would help in the development of skills of the youths so that better results are achieved in the shortest time possible. What shape ‘Skill India’ will take and what it will do only time can tell. But no doubt it seems to be a good initiative – providing skills to people, especially because India is one of the few countries all across the world whose working age population will be very high, few years down the line, going by its ever-increasing growth of population, as per the World Bank. It is also high time now measures are taken to improve the physical and mental development of the youths of the country so that none of them remains unemployed and the country’s unemployment problem also gets reduced. It is time to open up avenues by which the youth accepts responsibility and no one remains idle because an idle youth is a burden to the economy. The economy should concentrate on job creation and social security schemes. With this new approach towards skill development, India can definitely move forward towards its targeted results. Orientation to Skill & Entrepreneurship Development under SJRY,PMEGP etc.